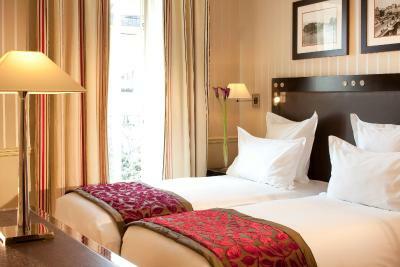 Lock in a great price for Hotel Duquesne Eiffel – rated 8.6 by recent guests! 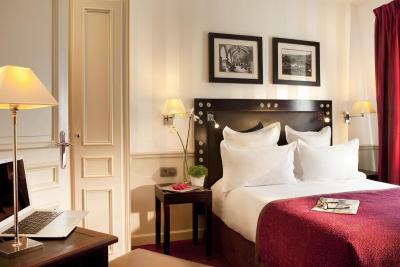 The staff is very nice, the room is nice, the location is great. Very good experience. Very friendly staff. I was made to feel welcome even though I don’t speak French everyone spoke some English. Staff and room decor were nice. Great location to Eiffel tower. Perfect location! Very centric, making it super close to everything! Like the location, near Unesco where I attended the meeting. the room was pleasant. The view was good. Breakfast was good. Staff was friendly. Very friendly staff. Excellent location. 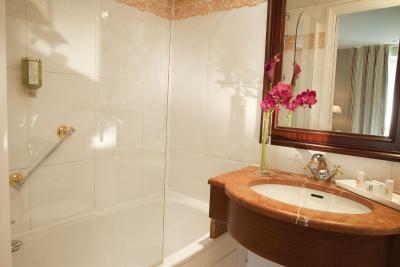 Spacious room with nice amenities (kettle, toiletries). Full sized bathroom with tub. Balcony with full Eiffel Tower view. Super clean and exceptionally friendly staff! Would come back and stay in a heartbeat! I knew the room would be small. The view of the Eiffel Tower from my balcony was fantastic. The location was great. 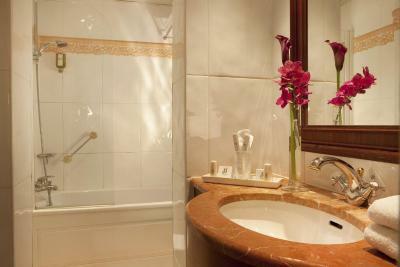 The room (and bathroom) was very luxurious and clean. 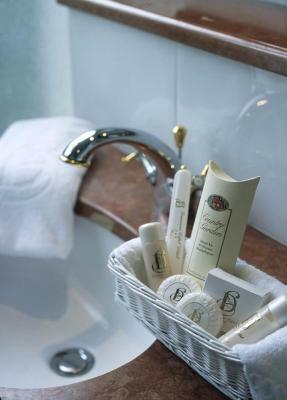 Pretty boutique hotel, very clean, nicely appointed room and bath. Location was more residential which was nice because it was not noisy. I would definitely stay again! Each air conditioned room at the Duquesne Hotel has a flat-screen TV and a private bathroom. All rooms are accessible with an elevator. 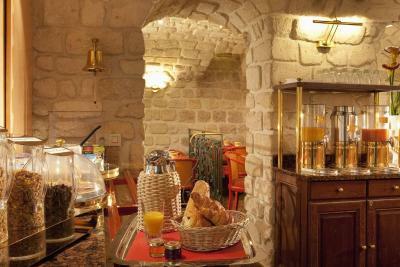 A full breakfast buffet is served daily at the Duquesne Eiffel. 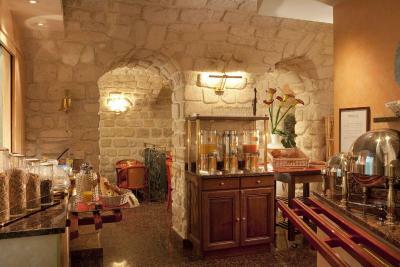 The hotel also provides a bar and a 24-hour front desk where staff can offer local tourist information. 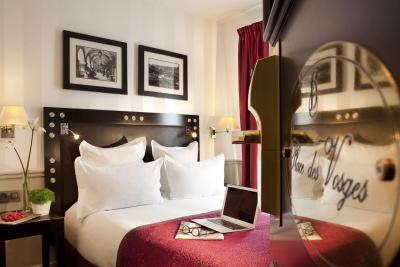 Hotel Duquesne Eiffel is just a 2-minute walk from Ecole Militaire Metro station, which provides direct access to the Champs-Elysees, Opera Garnier and Place de la Bastille. 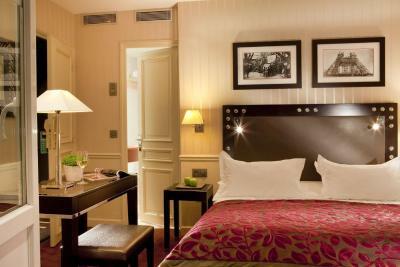 When would you like to stay at Hotel Duquesne Eiffel? This air conditioned room has a TV and a minibar. 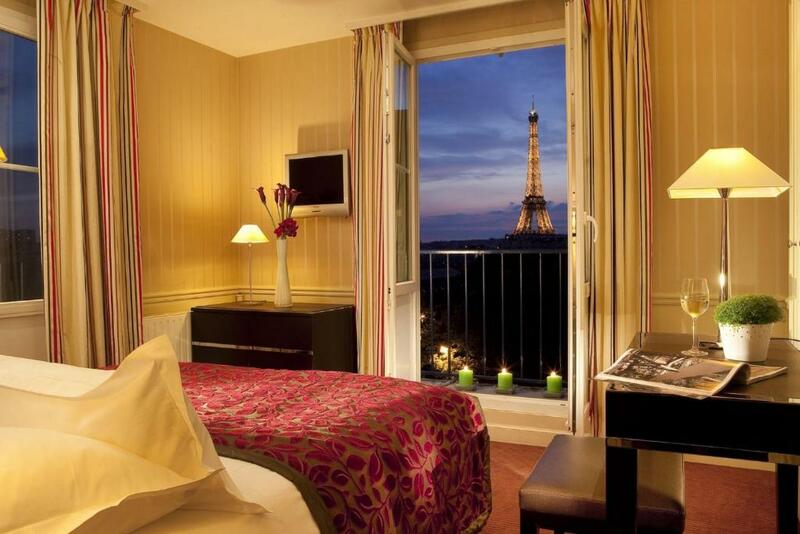 Some rooms have a private balcony and views of the Eiffel Tower. 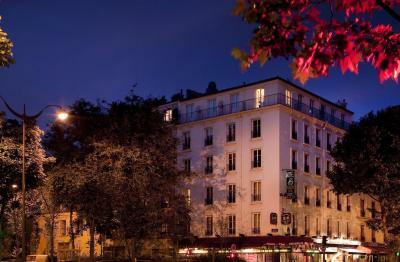 House Rules Hotel Duquesne Eiffel takes special requests – add in the next step! 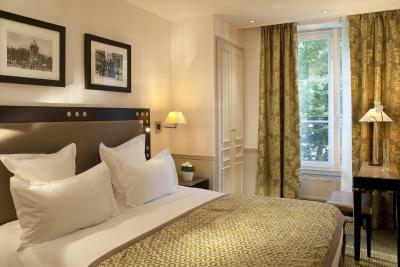 Hotel Duquesne Eiffel accepts these cards and reserves the right to temporarily hold an amount prior to arrival. 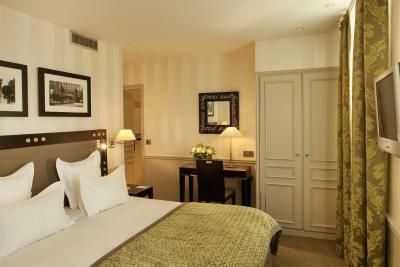 Please note that baby cots are only available in the Superior rooms and upon request. Rooms really small but hey, they all are in Paris. Good breakfast. Great staff who were patient and answered all our questions. Excellent location for walking the city. 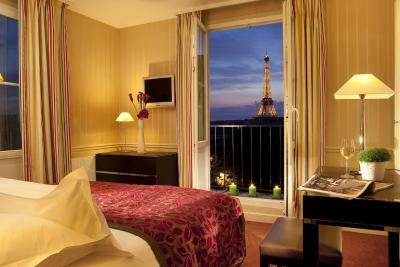 I paid for the most expensive room with the promise for view of the Eiffel tower. Well, that was a lie, we were put in a room in the first floor and the view was pretty much the same as if you were in the street, you could only see the tip of the tower. I was travelling with my wife and baby all over Normandie and a few days in Paris, we decided to spend more on this stay to have an unforgettable experience by having a view of the tower but it didn´t work. When I asked at the reception to go to a higher room with a view they just said they were full. So if you´re plannign the same as me, to stay here because of the view, just be careful, you may pay a high price and not get what you want. The rest was fine, room is comfy and clean, bed is nice and breakfast is very good. 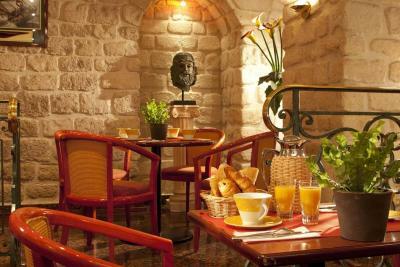 Excellent location and very good breakfast! Standard room with view was a little bit bigger than the bed itself, around 8sq.m. The heating only comes bundled with loud sounds of falling water inside the heater, so one has to balance between not freezing to death and not going insane because of those sounds at night. Paris size room, but all hotels have this problem. However bathroom was larger than expected. Staff was very friendly and went out of their way to make our stay with our 1 year old smooth. For us location was excellent especially since we like to walk around the 7th. Metro was anyway close-by. 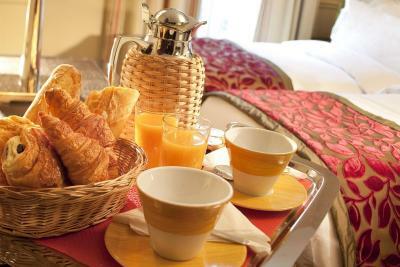 Breakfast was very good, French breakfast, but also some elements of continental - rare for Paris. Hotel looks newly renovated. I can only say if you want to relax in the bath you might struggle as it’s a tiny bath, but it wasn’t a problem for us as the powerful shower head provided a wonderful wake up each morning. Friendly and very helpful staff. Last minute space at an excellent price. Great view of the Eiffel Tower. Delicious breakfast. 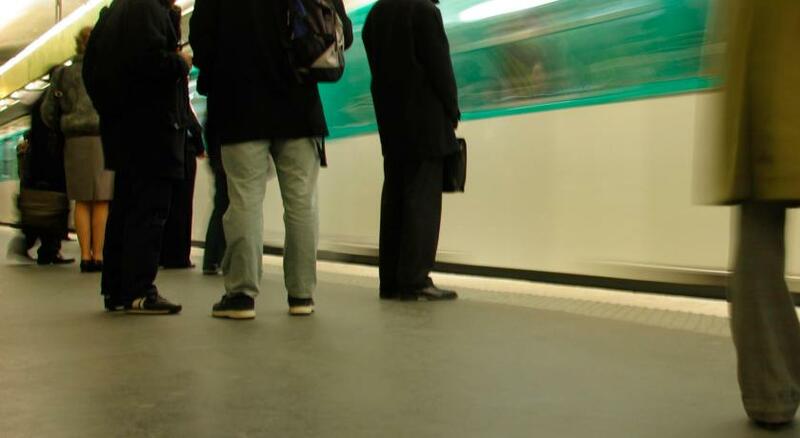 Great area with bus stops, metro stops, and restaurants nearby. The room and bathroom was clean and comfortable. I took my daughter away for a long weekend break (from London) and had a bad experience with the initial hotel we were booked into and Hotel Duquesne Eiffel saved our stay. The service from the staff was amazing. As return guests, they were kind enough to upgrade us to a Eiffel Tower View for no additional charge. If I had to pick something it would be room size, if it was a little bigger and had some chairs by the window to really enjoy the view that would have been great as the room did not have a balcony. Other than that it was clean, had tea and coffee facilities and in a great location. I was very happy with the hotel.. I had asked for a view of the Eiffel Tower at the time of booking and was told it would be extra so was delighted to see we had a view of the Eiffel Tower, an unexpected surprise. The staff were friendly and efficient. The breakfast was good with a selection of pastries etc. 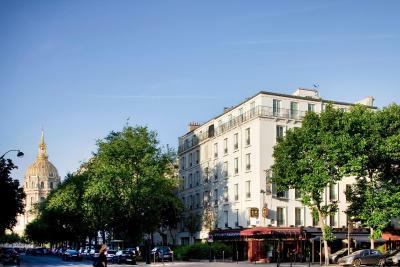 Great location only a short walk from Eiffel Tower and Notre Dame, restaurants and bars were near too. It’s on the small side but for a couples night away, as the location is so good, it doesn’t matter! 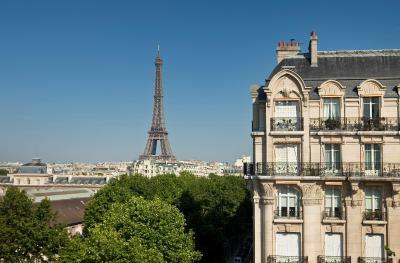 Location is amazing and you really can see Eiffel Tower from the window! Surrounded by lovely restaurants and cafes. Cute, quaint, clean and lovely staff! The breakfast is good, but very basic. 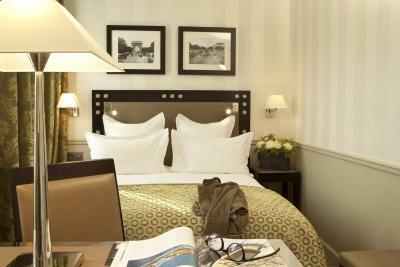 The rooms were very tight and difficult to move around in... but in the centre of Paris I don’t expect anything else. Very, very good. The hotel was excellent; lovely and clean, welcoming, comfortable. The staff were very nice and helpful. Would highly recommend. Plus it’s a great location.